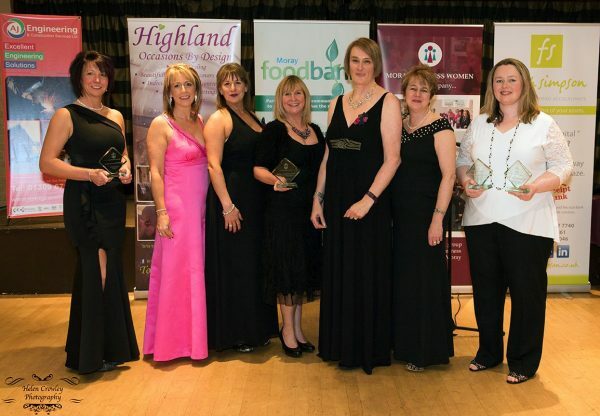 From left: Samantha Dowdall who won Business Woman of the Year, the MWA tartan Trekkers Rosie Menzies, Elaine Adam, Elle Johnston, Susan Longmuir and Marie Smith who won Team of the Year and Sarah Frame O’Hare who won Most Enterprising Business and Member of Achievement. 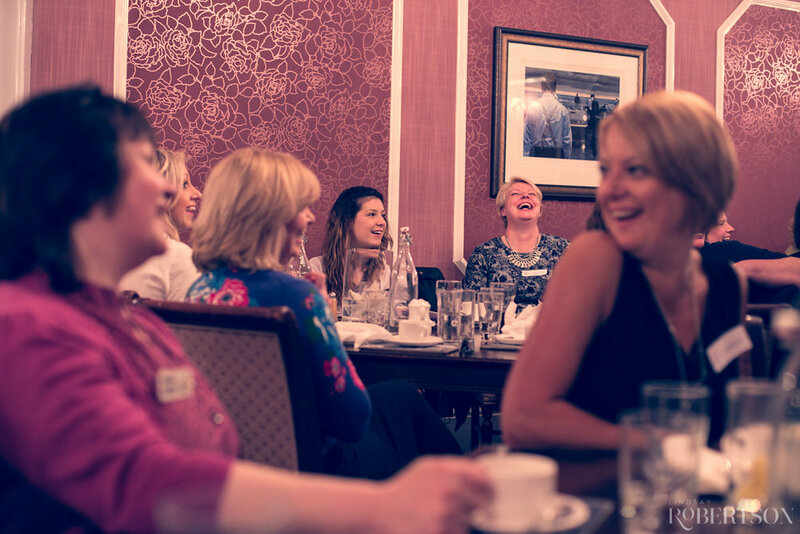 BUSINESS women from around Moray have been recognised in a glittering awards ceremony which also raised thousands of pounds for a local charity. Moray Business Women’s Club held its annual ball in the Eight Acres Hotel in Elgin on Saturday, hosted by Jock Gibson of Macbeth’s butcher and game dealer. The event, which included a raffle and auction and raised over £4000 for Moray Foodbank which is the organisation’s 2017 charity and the business group is now on the search for their 2018 cause. The event also celebrated the success and contribution of women in business from across the region. Samantha Dowdall, former general manager of Fochabers-based Christies Garden Centre and now retail director of Inverurie Garden Centre scooped the award for Business Woman of the Year, sponsored by Faith Simpson Accountants. Whilst founder of Strategy Cards Sarah Frame O’Hare took home two gongs, Member of Achievement which is voted by fellow Moray business women and Most Enterprising Business sponsored by Highland Occasions By Design. 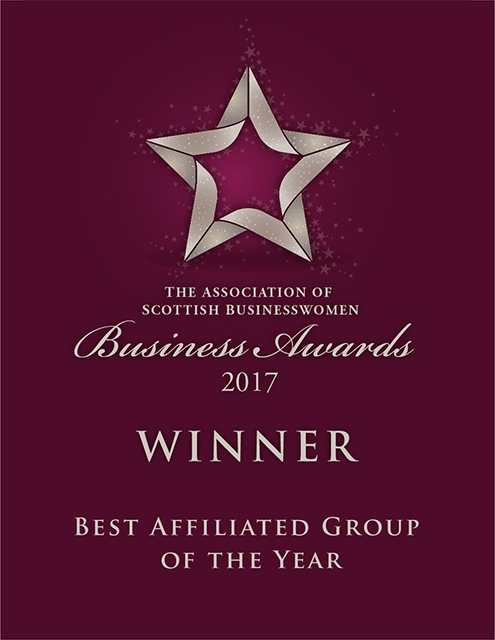 Sarah will now go through as Moray’s representative to the Association of Scottish Businesswomen Business awards next year. A new category for 2017 – Team of the Year, sponsored by AJ Engineering & Construction Services – was won by MWA Tartan Trekkers who took on the challenge of trekking across the Sahara raising £25000 for Moray Women’s Aid. 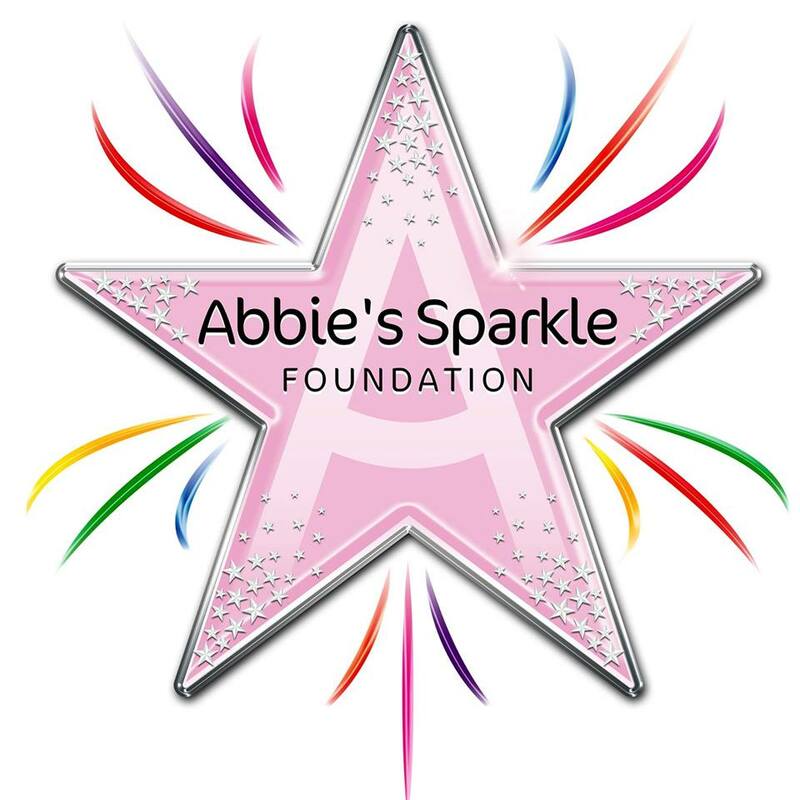 Application forms to nominate a charity are available here. They must be emailed to the Club’s Charity Champion Kirsty Watson at kirsty@watsonwoodfp.co.uk by midnight on Friday 8th December 2017. The shortlisted applicants will be invited to pitch in person at the club’s Charity Launch in early January 2018.